Written by Clients in Action on March 7, 2018 . Posted in Purpose. The Wheel of Balance is a great thermometer to take the temperature of your life – is it wholly what you want? 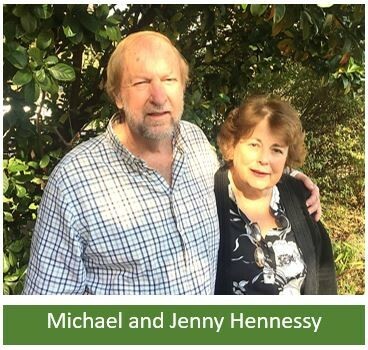 Chartered Wealth Solutions client, Michael Hennessy, shares the unexpected treasure he found in this familiar tool that allowed him to relinquish his worries about his future life and finances. Having just completed our first annual review, I fell to musing on the many things that have happened during 2017. In October 2016, I found myself peering down the barrel of a very threatening gun with the label “retirement” attached to it. Two aspects of imminent retirement terrified me the most. Firstly, despite a long and very varied career, always involving some aspect of the resources business, it seemed to me that I was being put out to grass at a stage when I thought I still had something of value to add. Had I been deceiving myself and was I really of no further value to my employer? Secondly, the very fact of that varied career carried with it the horror that provision for retirement would be grossly inadequate. Moreover, my wife and I could place little reliance on any of her retirement funding: her career as a teacher had been as much impacted by being a stay-at-home mom and then living abroad, so limiting years of service. Fortunately, we were introduced to Chartered Wealth where we were able to unburden ourselves from many of our concerns. The sequence of initial meetings was arranged in such a gentle and caring way that we could move through some of the clouds of fear. We were at the outset assured that with the financial provisions we had made, we were not in any desperate position. “Relax”, we were told, “your future is not bleak”. The plan is as much to help you with your life in future as to manage money. The budget plan that was in due course developed reinforced this – we could expect more than bare survival. We were then introduced to the Wheel of Balance, a concept that fascinated me, and a personality appraisal. I had, of course, been subjected to many similar exercises over my career, but the outcome of “Motivator” struck me as fairly solid. It became clear from our consideration of the Wheel of Balance that there were so many opportunities that would now be open to us. The Wheel of Balance pointed to the need to manage our lives: fun, work, community involvement, learning and so much more. In particular, our Planner pointed out that with my long experience, there should be no problem of continuing as a consultant in the mining and environmental field. This thought alleviated both my sense of a lack of self-worth and a fear of inadequate financial resources. Indeed, that is exactly how things worked out. I was able to join a start-up environmental consultancy and help it to expand to a much larger group. The new employees are all young, which leaves me as the grizzled old uncle offering guidance and, hopefully, wisdom. As with all other places I have worked, I also try to bring a sense of fun to the office. One of the nicest things I have heard anyone say (apart from when my wife said she would marry me) came from one of the young women who said, “I wish I could fold you up like a blanket and take you home so that when I feel sad, I can take you out of my cupboard and wrap you around my shoulders so that you can make me laugh”. Not only such expressions of affection, but then I also get paid! We feel we owe such a debt to Chartered Wealth; to the planners, who make up an important part of my retirement life; to the Retirementors, providing insights on meaning; to the client services team, who design such fun events; and still more, to those behind the scenes whom I may not meet but who are a crucial part of the whole edifice. Our Planners did a superb job of talking us through the process and putting us at ease for the future – we love the sense of family we feel: it is so much more than a brusque money- related investment return approach. The Bucket Wheel really helped us to look forward rather than backward.